At TrainingPeaks, we constantly push for innovation and integration to make it easier for coaches and athletes to track, analyze and plan their workouts. Continuing that push, we are happy to announce that TrainingPeaks is one of the first companies to use the new AutoSync feature from Garmin. This new feature makes it easier than ever for Garmin users to get their valuable data to their TrainingPeaks account. 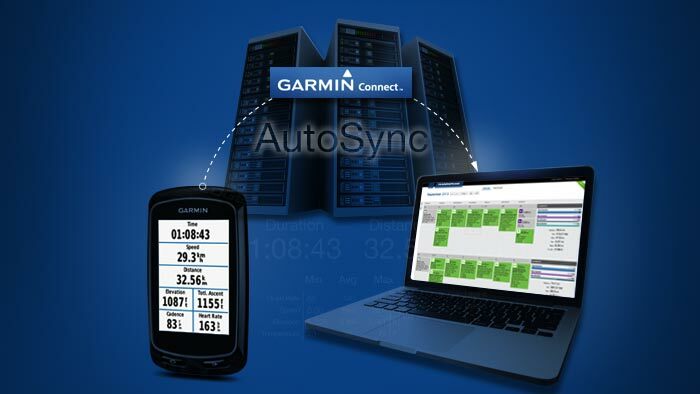 Simple and easy to use, the new AutoSync feature requires only a one time link, after which any file that is uploaded to Garmin Connect will automatically be transferred to your TrainingPeaks account. Athletes using a Bluetooth capable device like the 510, 810, or 620 can upload their data without ever having to connect to a computer. Additionally, athletes can use TrainingPeaks mobile to instantly analyze their workout and track progress. “We are very excited to be one of the first companies to offer this new capability,” said TrainingPeaks co-founder and CEO Gear Fisher. “Without having to press a button or plug in your Garmin, your data is now seamlessly uploaded to the cloud. Adding value to hard earned workout data is where our software shines. It’s easier than ever to track and analyze your workouts and get immediate feedback on your progress.” The best way to view and analyze all of your data is with a Premium account. If you don’t have a Premium account, try it free for 7 days. Any Garmin user can take advantage of this new feature. Don’t have a Garmin device? Go to the TrainingPeaks Store to bundle a Garmin device with a TrainingPeaks Premium account and save.